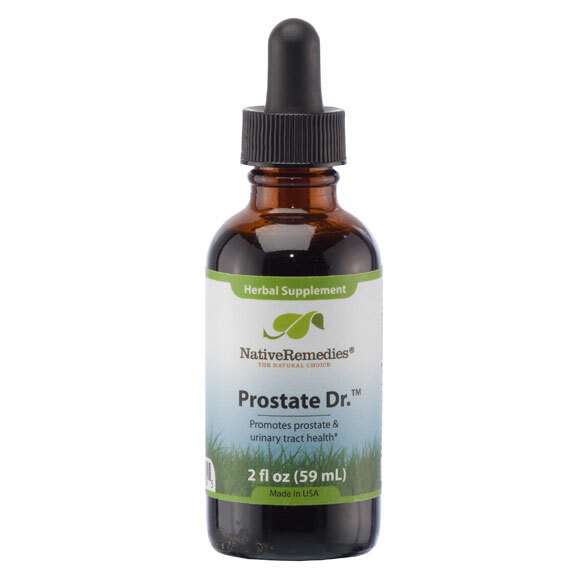 NativeRemedies® Prostate Dr.™ helps revive and maintain male urinary system health. These herbal supplements support prostate and bladder health, promoting systemic flushing for unobstructed urine flow. Easy-to-ingest prostate supplement is a natural solution to problems that occur as part of the natural aging process. Dietary supplement helps maintain bladder pH balance. Supports the overall immune system. Dilute drops in water or juice 2–3 times daily. 60 ml bottle lasts approx. 40 days. Do not use with finasteride or other medications. Prostate Dr. is a 100% herbal formula and contains the following ingredients: Certified Organic Saw Palmetto Berry, Wild crafted Red Root, Wild crafted Nettle Root (fresh), Wild crafted Sarsaparilla Root, Certified Organic Turmeric Root (fresh), Certified Organic Dong Quai Root. Adults (Male): Take 0.50 mL 2-3 times daily.